It has been about a year since I last blogged! I am so excited to update my readers on my life happenings in a different post, but for today I am talking about the MemoVase from Clever Me. This is a vase that you can write "memos" on for a loved one, roommates, or even for gifts! I had never heard of the MemoVase before they asked me to collaborate, and after having the MemoVase in our apartment for a few months, I am so glad that we partnered up on the post! This post was sponsored by Splash Brands. All photos and writings are my own. These past nine days have been such a beautiful, busy distraction. I have been on a small break from classes, and my sweet sister came to visit me before she heads off to study abroad. I am so glad that she was able to come and be with me during my break. 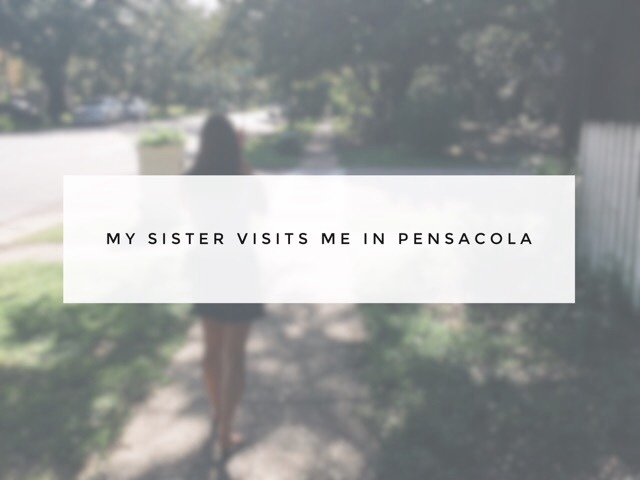 Brittney was able to meet a few of my friends, see where I work, walk around campus, visit the beach, and see what Pensacola has to offer. 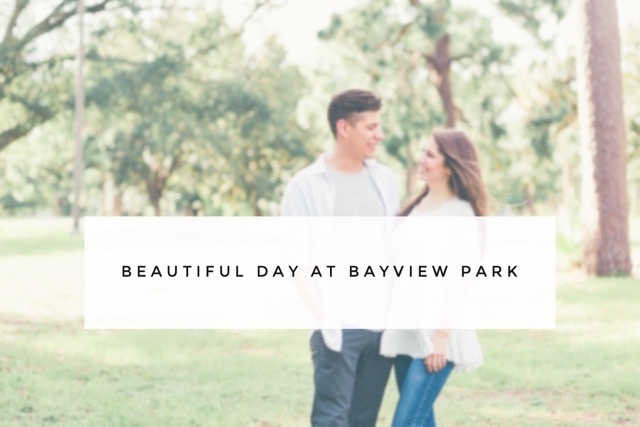 Last week, my boyfriend and I had the opportunity to help an up-and-coming Pensacola photographer out. It was such a fun experience that I wanted to pre-promote this photographer; also, the pictures that she took are just beautiful and I wanted to share my absolute favorite shots. We had so much fun during the session. I think the photos do an amazing job showing just how much fun we have when we are together. It seems that we are always laughing, being goofy, smiling, and just enjoying each other's company. Ever since I moved to Pensacola, I have been looking for a great coffee shop. I thought that I had found one a few weeks after being here, but that coffee shop just didn't have the vibe that I was searching for. Being from Portland, Oregon, I am picky when it comes to not only my coffee, but the place that I sip it in. After searching coffee shops last Thursday, I have found the best coffee shop (in my opinion) in Pensacola, Florida. 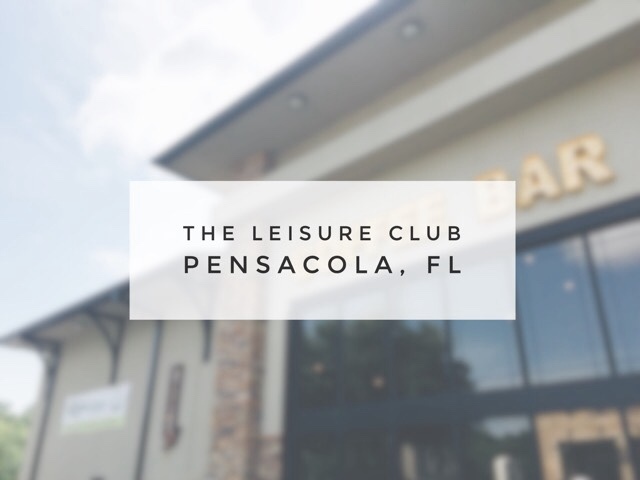 It is called The Leisure Club. It is so funny how life works out sometimes. 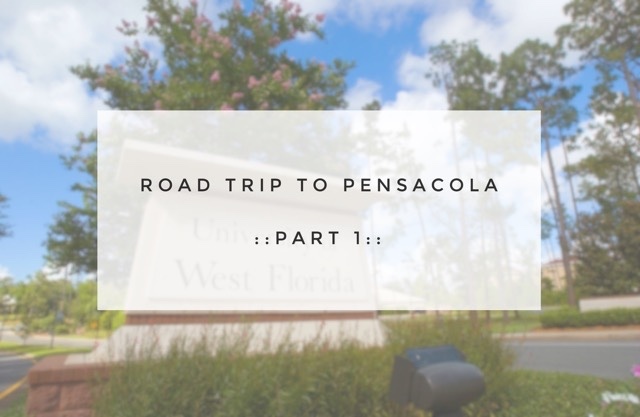 For years, I have been dreaming, thinking, and working towards Pensacola, and now that I am finally here, it was all worth it. Every hour I spent working, every hour I spent planning, it was all so worth it. I am so thankful that I kept working toward my goal, and that I have even bigger goals within this already giant goal. 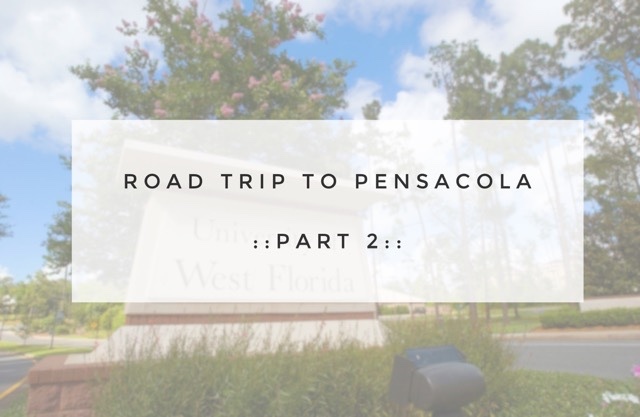 This is the last part of the road trip, the part where we drive through the South, and we stop in Pensacola. I am so glad that I am finding the time to share about the road trip on my blog. I did not want to wait too long to share these memories, because they are important to recount. These next couple of parts are not so intense, as part one was a little bit on the rough side. It was a rough part of the trip, but after that, there were hardly any tears, more laughs, and crazy fun.